An intense, flavorful showcase of citrus forward hops. Unfiltered and dry hopped. Complex layers of resinous pine, citrus, and tropical fruit give way to moderately high bitterness that lingers into the dry refreshing finish. 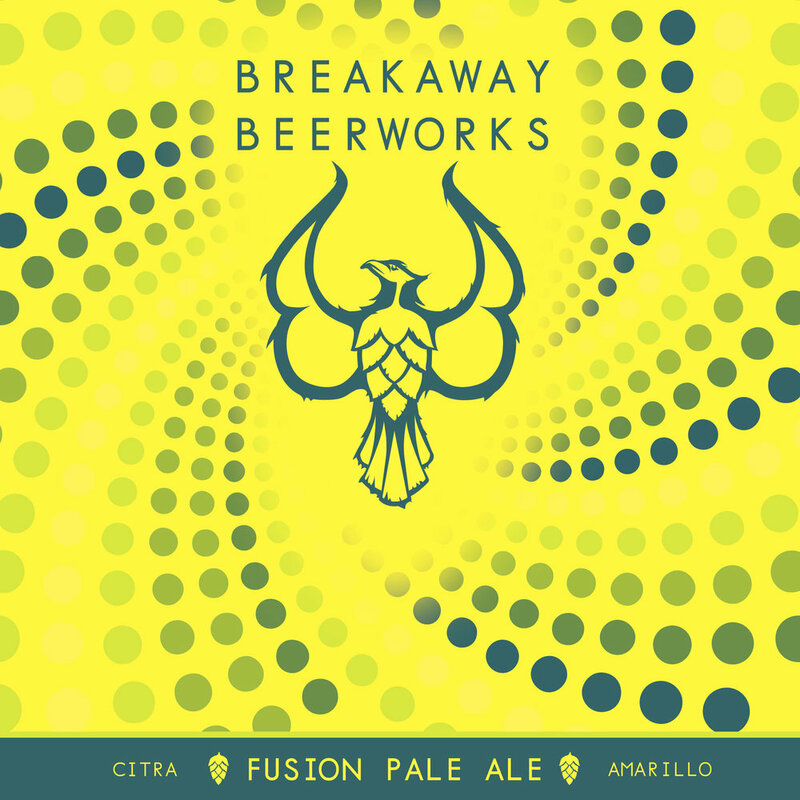 The brewery logo is that of a phoenix, representing Kate and Gabe’s metaphorical rise from the ashes and breaking away from the chains that have bound and prevented them from realizing their dream. The phoenix is reborn and evolves into a superior form of its previous self. Their first Double IPA “RISE” celebrates this process. A double dry hopped American pale ale featuring Citra Hops. Flavors of Grapefruit, orange, lime, Mellon and other tropical fruits, fuse together with evergreen character to create a bright, clean, refreshing pale ale with just enough bite to keep you coming back for more! Pale Ales although lower in alcohol and bitterness than India Pale Ales and Double IPA’s, are no less inferior in flavor and aroma. Jam packed with all those delicious aromatics and full hop flavor CITRA FUSION was created to deliver what hop heads crave with a less bitter character and a more sessional alcohol by volume. An unfiltered, dry hopped India Pale Ale. Tropical fruit flavors, spice and everything nice! Azzaca and Ella hops play well in the sandbox together lending their bitter and spicy characteristics to this tropical IPA making it stand strong and unique amongst the rest. 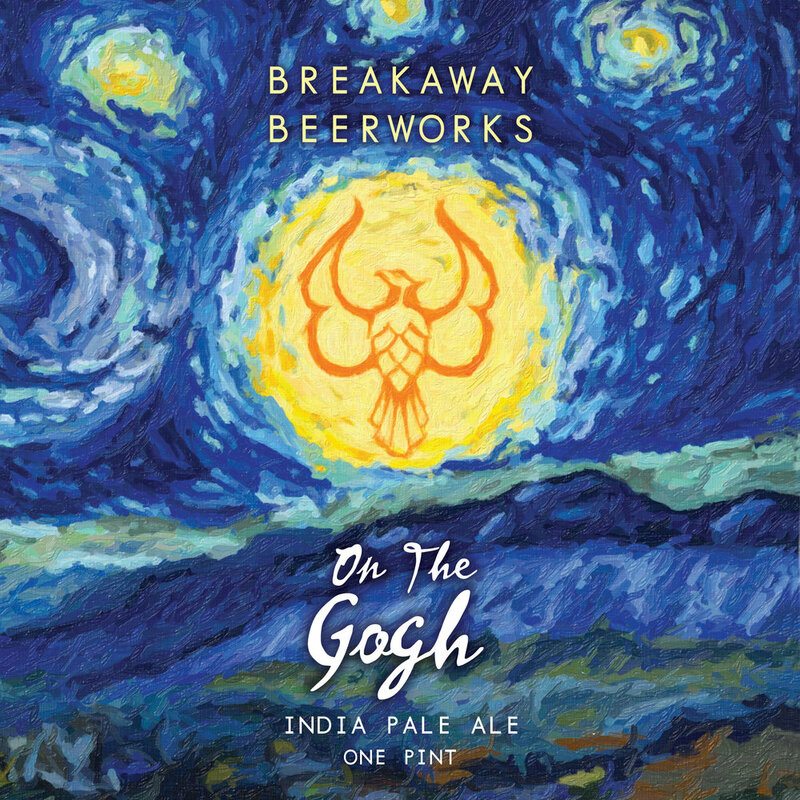 Created on a whim of creativity, this beer was created on the Gogh. The artistry outside the can and inside the can represent the art of creation using one’s own form of art. A double dry hopped American pale ale featuring Citra and Amarillo Hops. Flavors of Grapefruit, orange, and lime combined with tropical fruits, fuse together with evergreen character and a mild herbal accents create a bright, clean, refreshing pale ale with just enough bite to keep you coming back for more! A Lucious milk stout created with a generous amount of black malt. Malt derived flavors of coffee and chocolate dance on the nose followed by a full creamy mouth feel and balanced with roast and residual sweetness! Sit, relax, and meltaway!